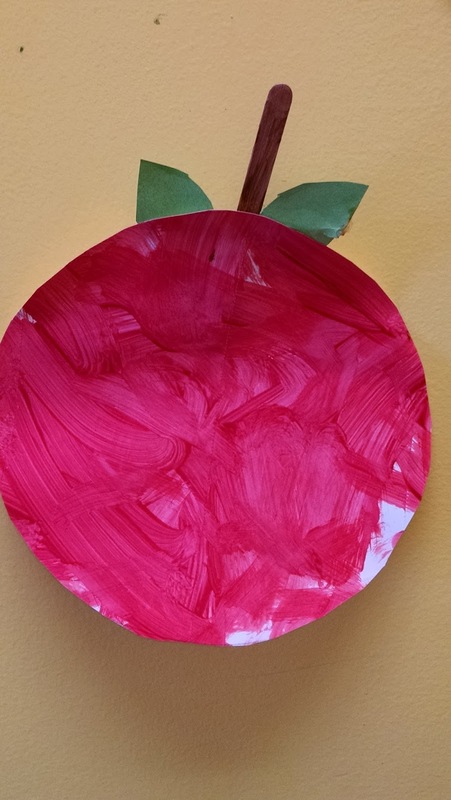 An apple a day, keeps the doctor away! 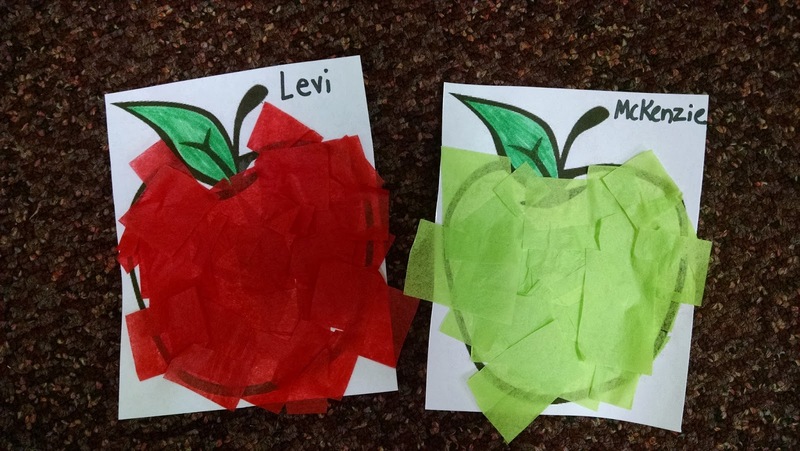 We are talking about apples this week in honor of Johnny Appleseed! 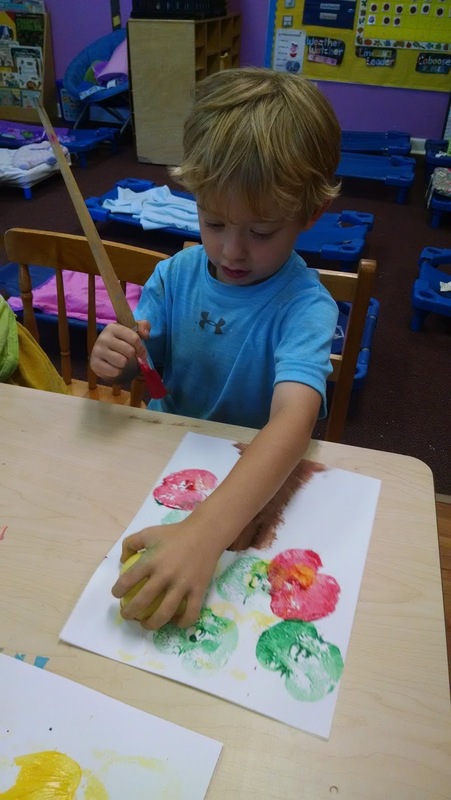 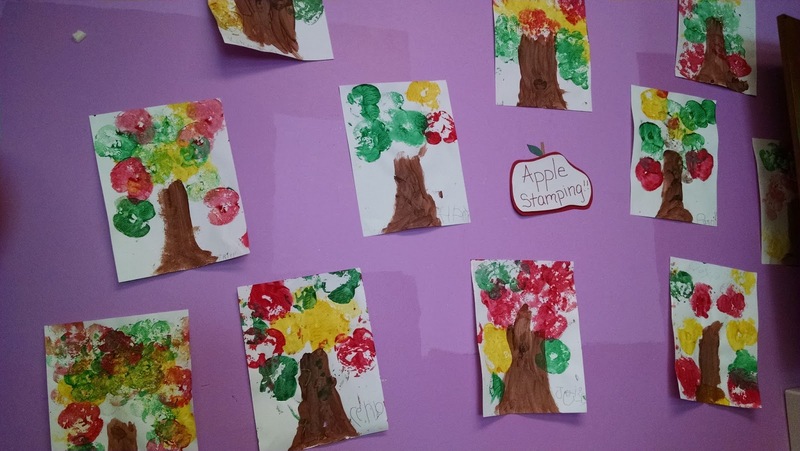 The children even had fun painting with apples! 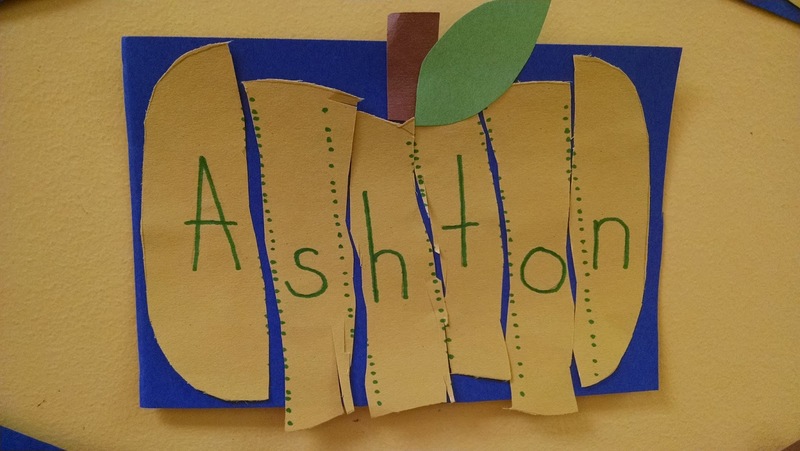 Of course, we did a lot of art projects with apples, including ones that allowed the children to work on spelling their names and counting! 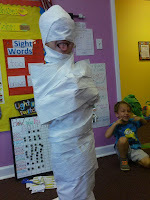 We also had several sensory and movement activities going on! 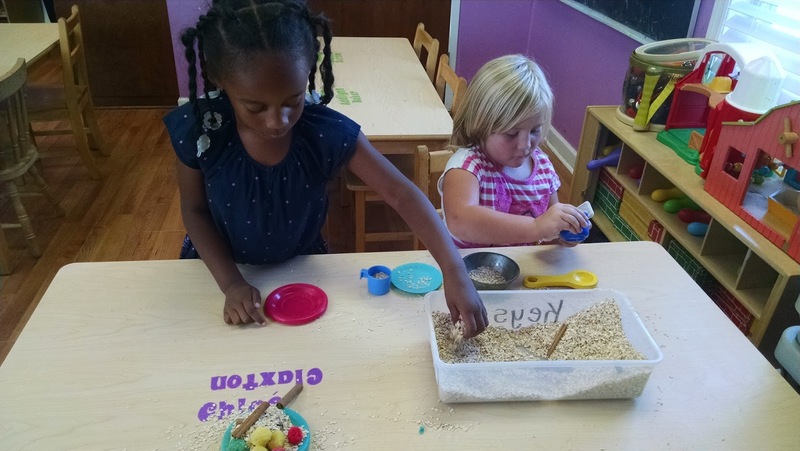 Pre-K played in oats with cinnamon and made apple flavored playdough! 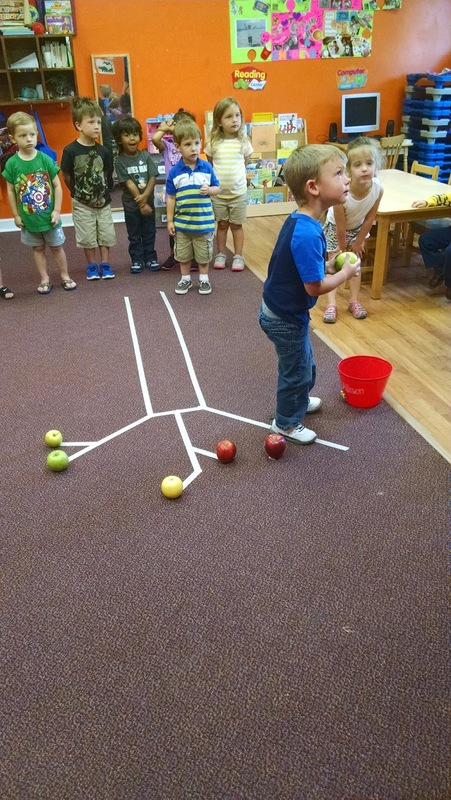 The 3's practiced large motor skills and color recognition by walking on the lines of the tree to "pick" a certain color apple. 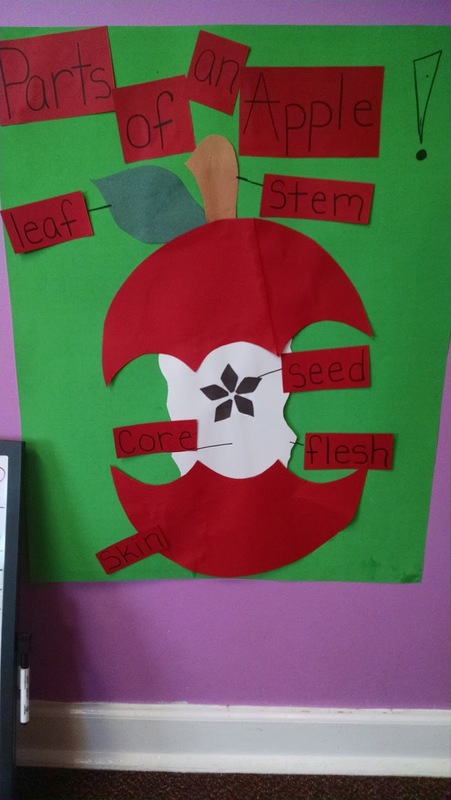 The children enjoyed learning about the parts of an apple! 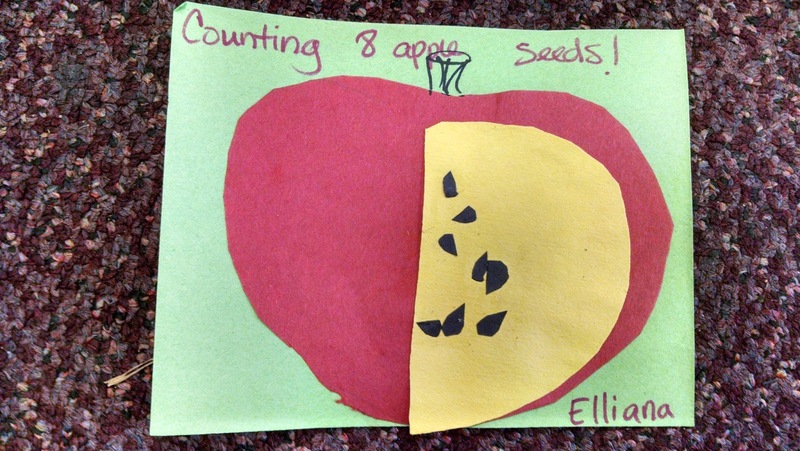 What a great visual representation! 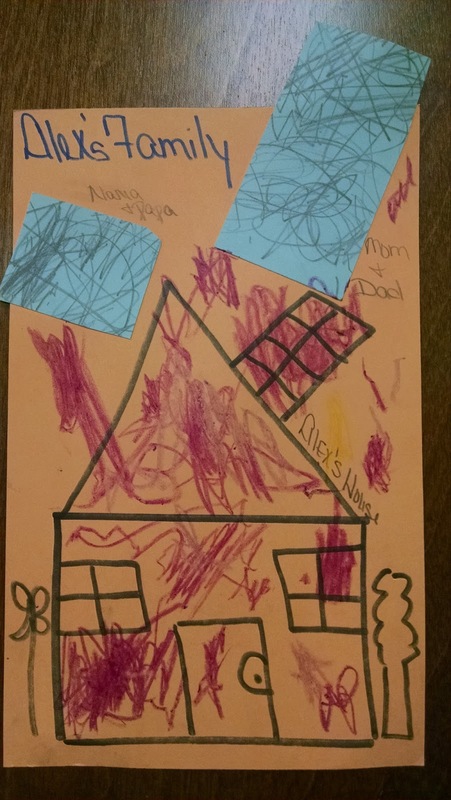 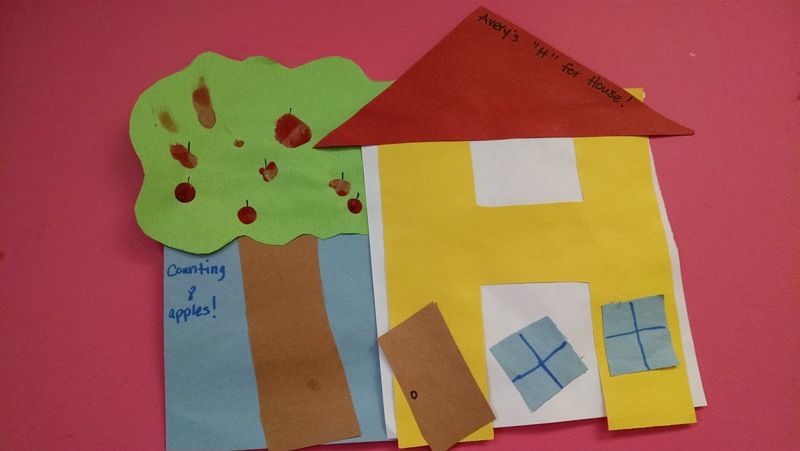 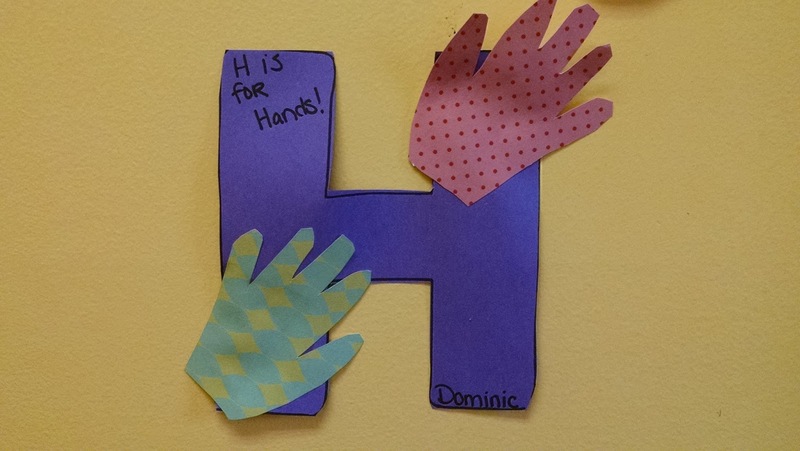 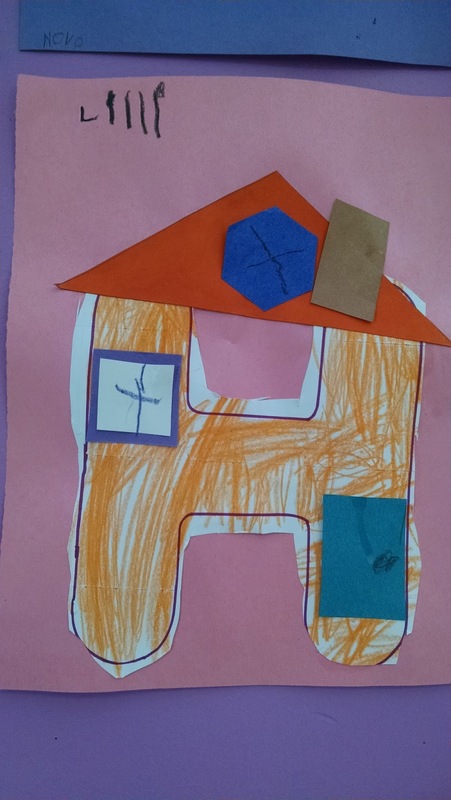 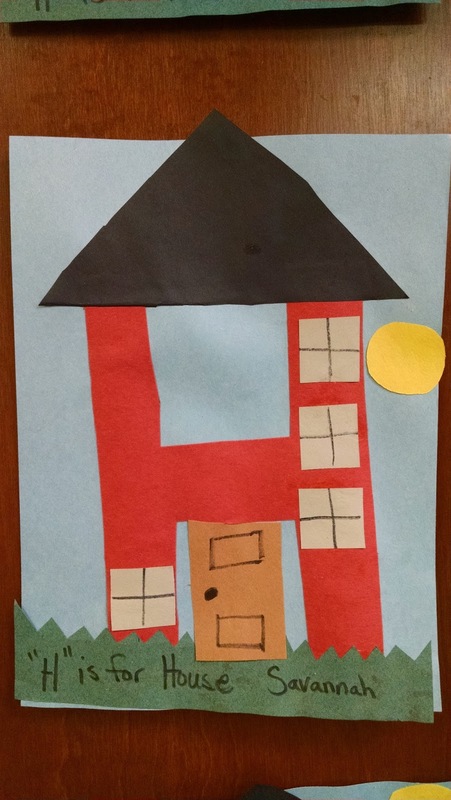 Our letter of the week was "H" so several classrooms made houses and one classroom talked about Helping Hands! 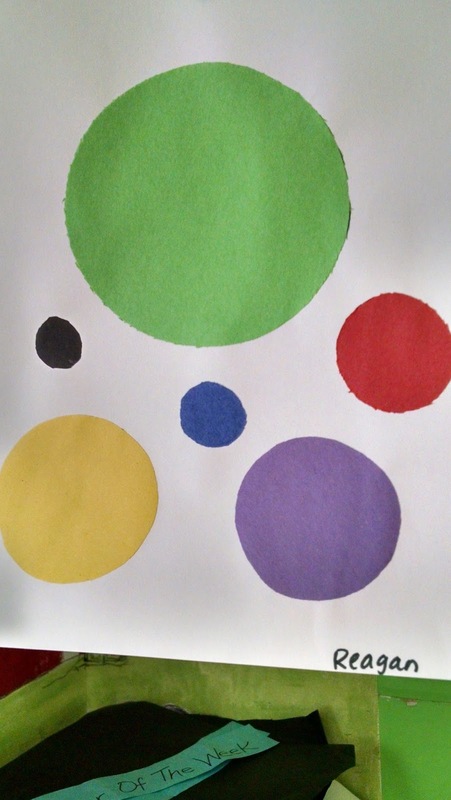 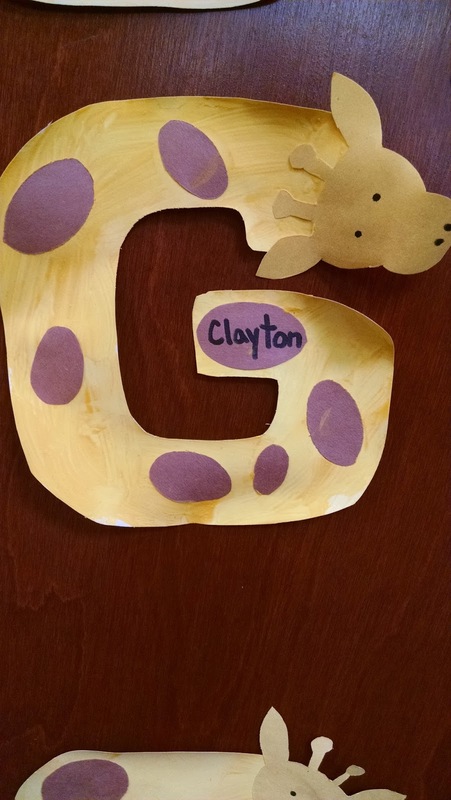 We can't forget about our shape of the week- circle! 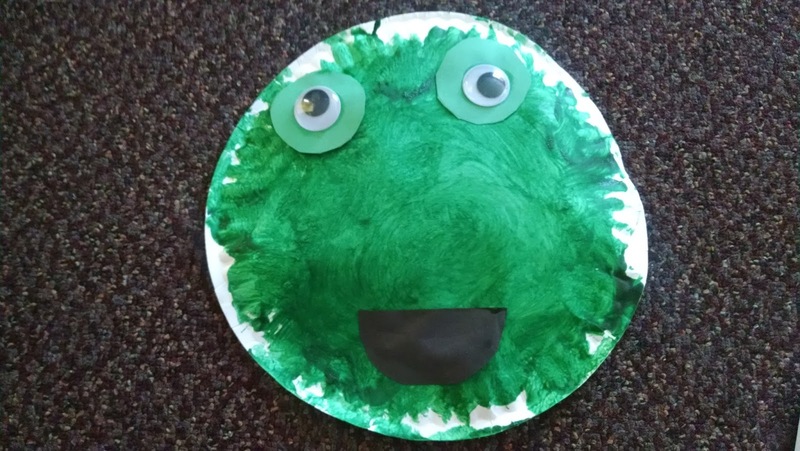 The 2's had fun with a circle collage! 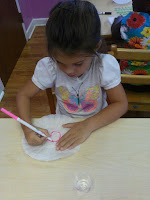 This week is all about butterflies and their life cycle! 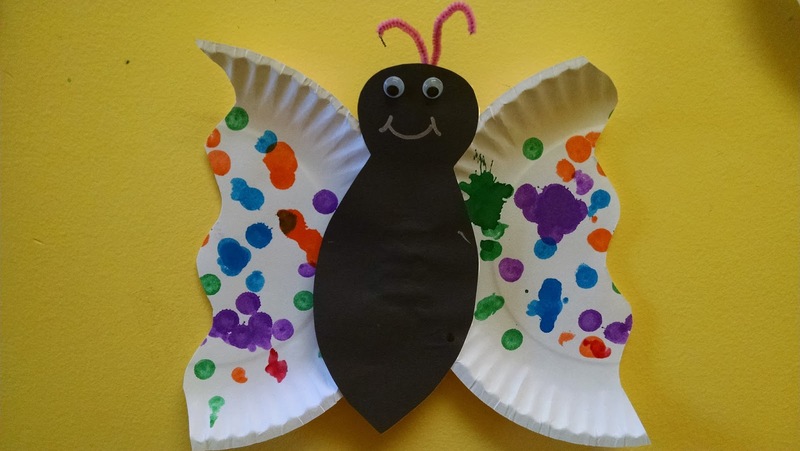 There are always some very cute art projects with caterpillars and butterflies! 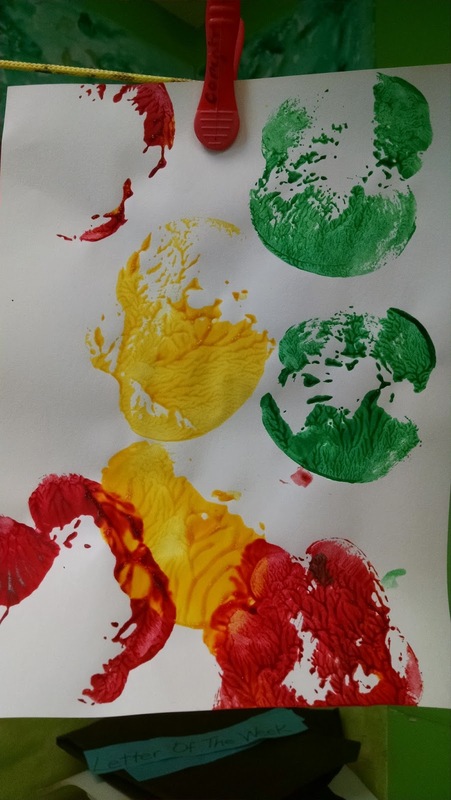 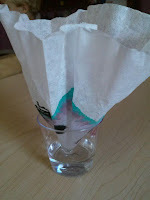 As a science experiment, the Pre-K class decorated coffee filters and then watched the color diffuse to the rest of the coffee filter. 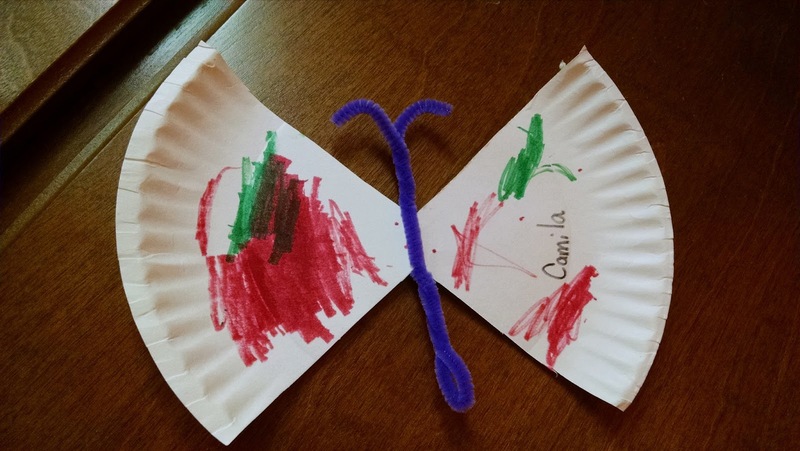 They then turned these into beautiful butterflies! 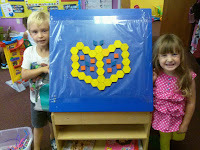 As a sensory and manipulative activity, theses cuties made a butterfly using pattern blocks! 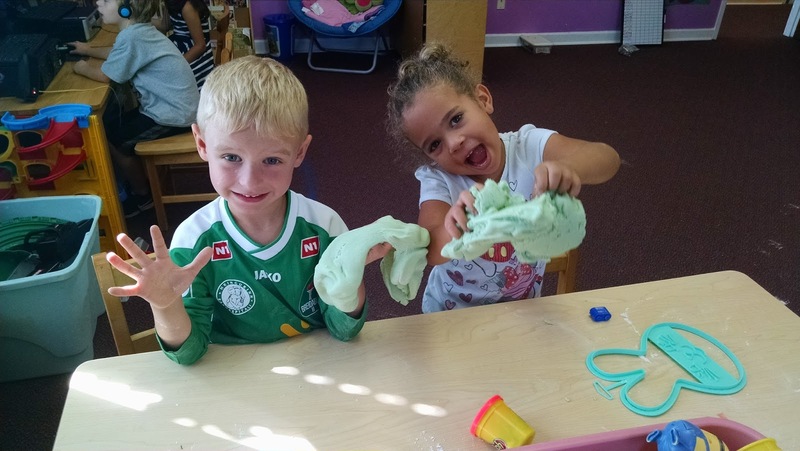 Such great team work! 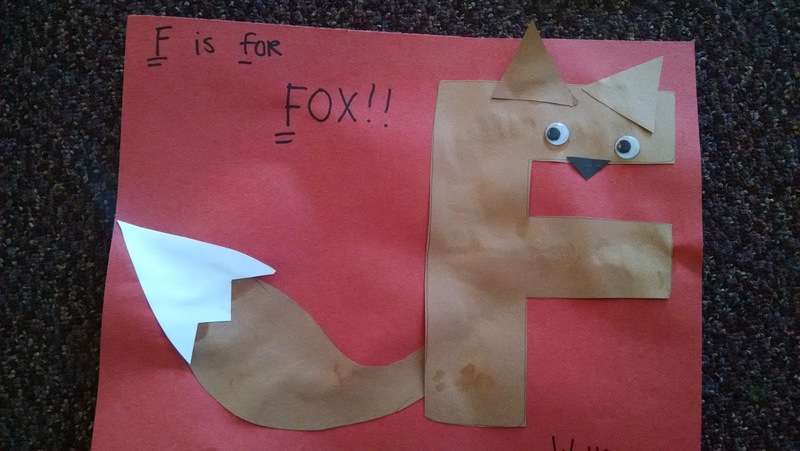 How funny is this?! 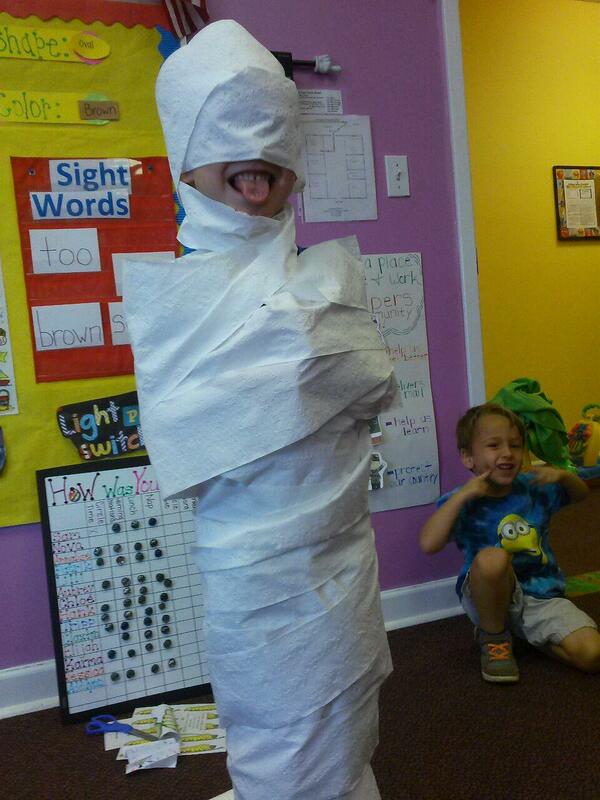 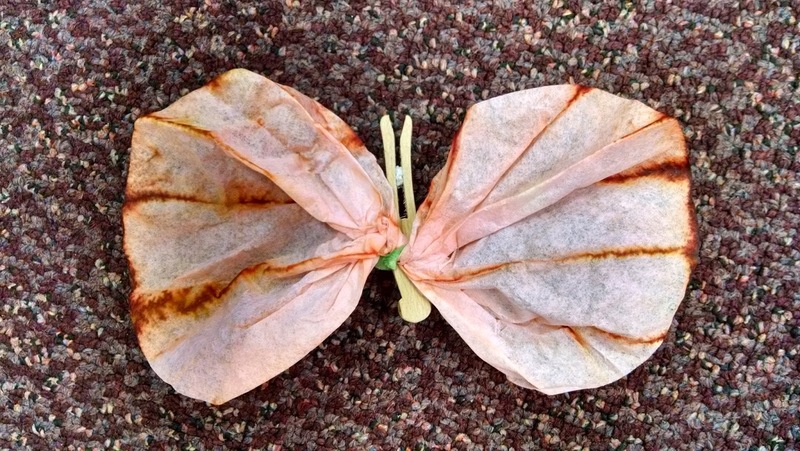 While talking about the butterfly life cycle, they had one child turn into a chrysalis! 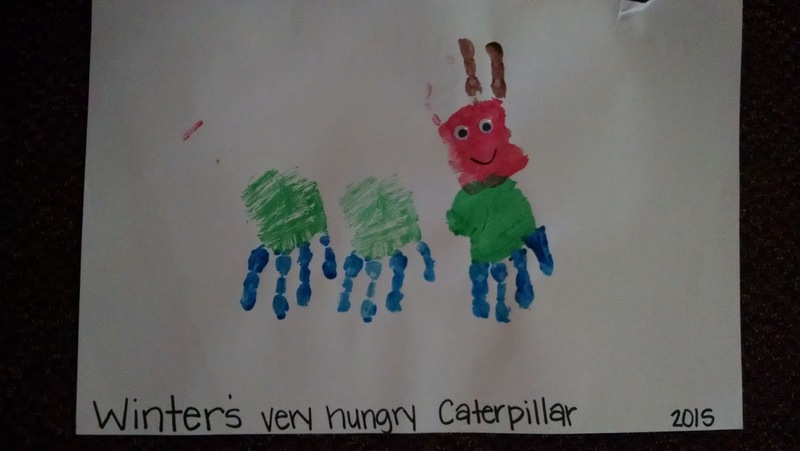 The week wouldn't be complete without reading Eric Carle's "The Very Hungry Caterpillar". 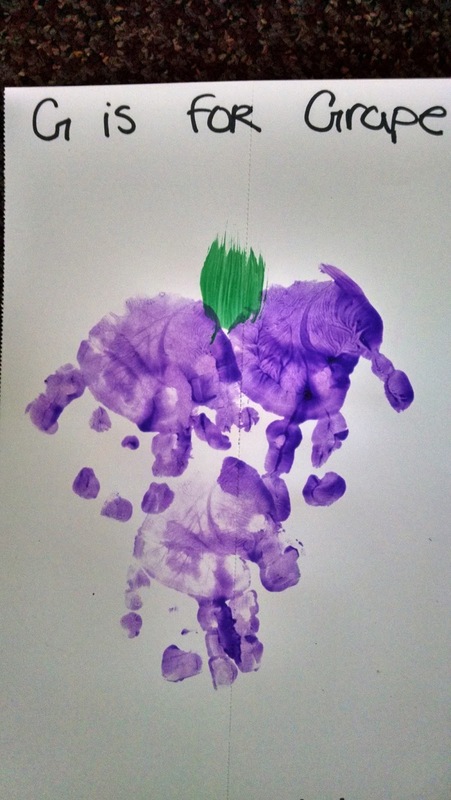 The Waddlers and Toddlers made their own caterpillar. 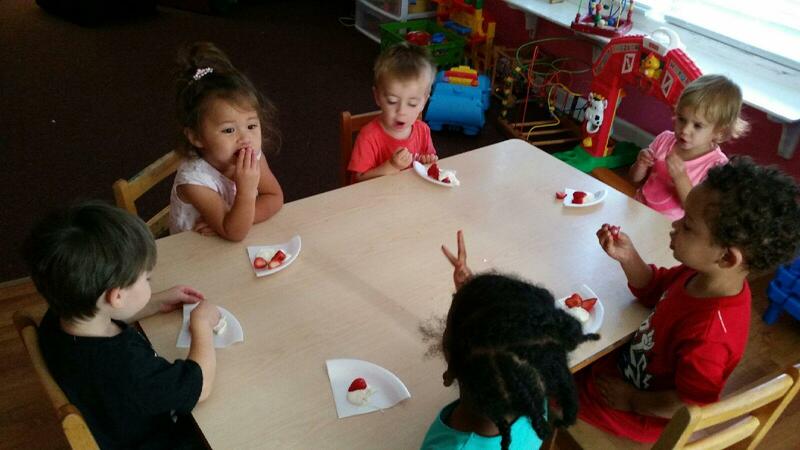 For our cooking project, we made Fruit Dip that the caterpillar might want to eat with all the fruit he enjoyed! 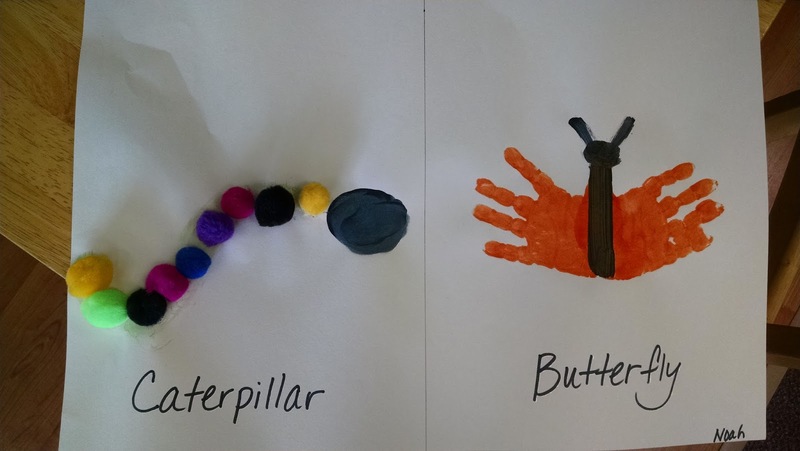 The 2's made a great art project as they learned about how a caterpillar turns into a butterfly. 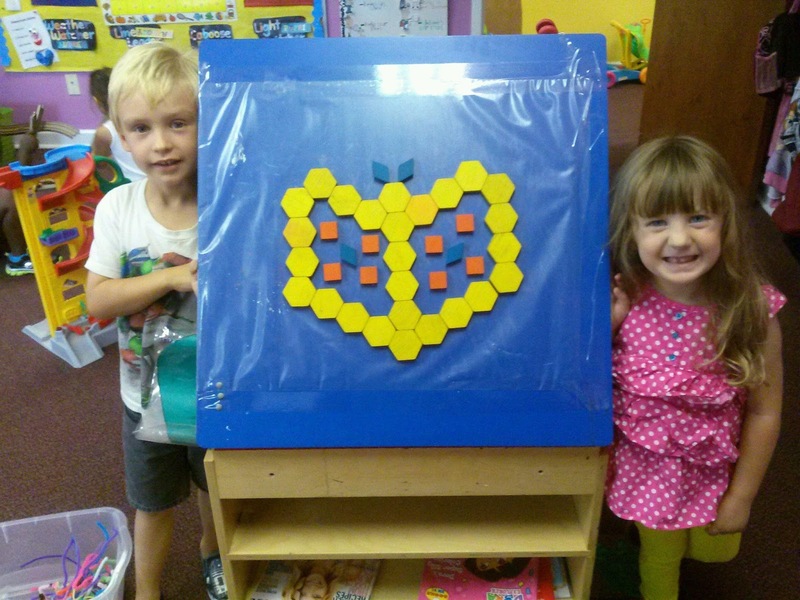 We always have fun talking about symmetry during butterfly week! 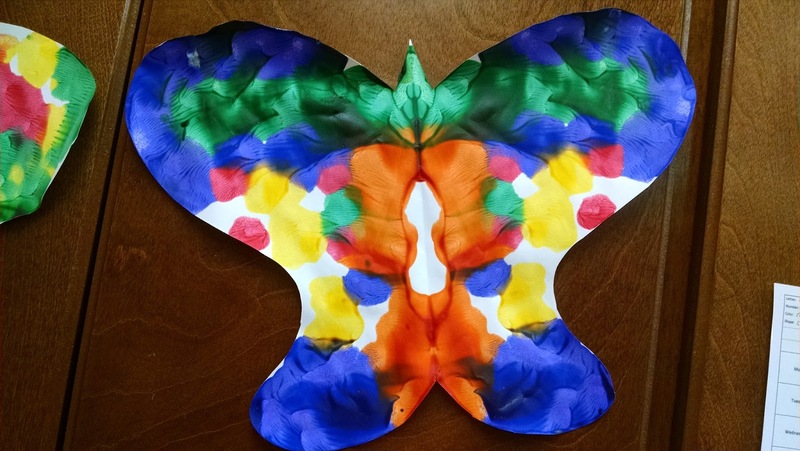 These butterflies turned out beautiful and served as a great math lesson for Pre-K! 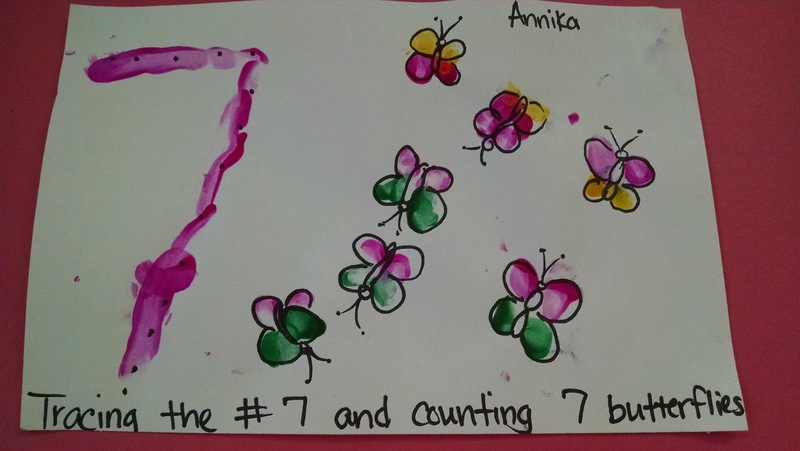 Our number of the week was 7 so the Waddlers made 7 butterflies using their fingerprints! 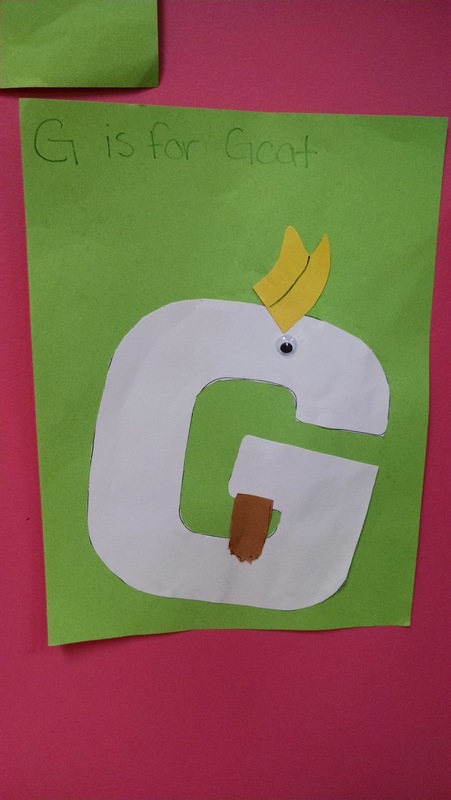 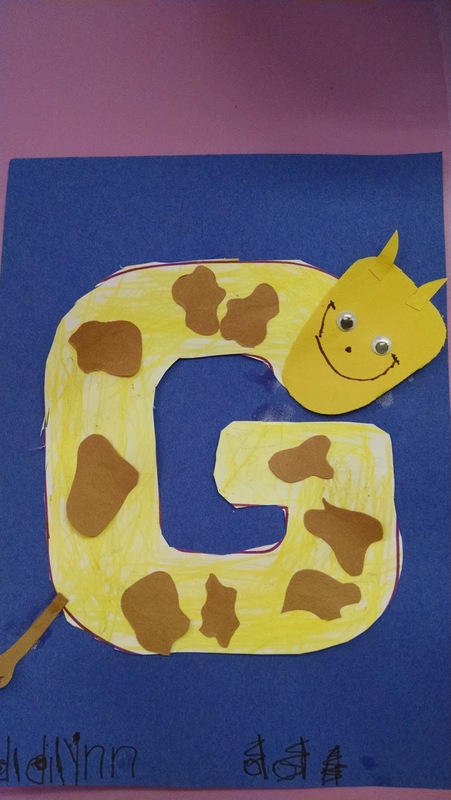 We had fun with giraffes, goats, and grapes for our letter of the week! 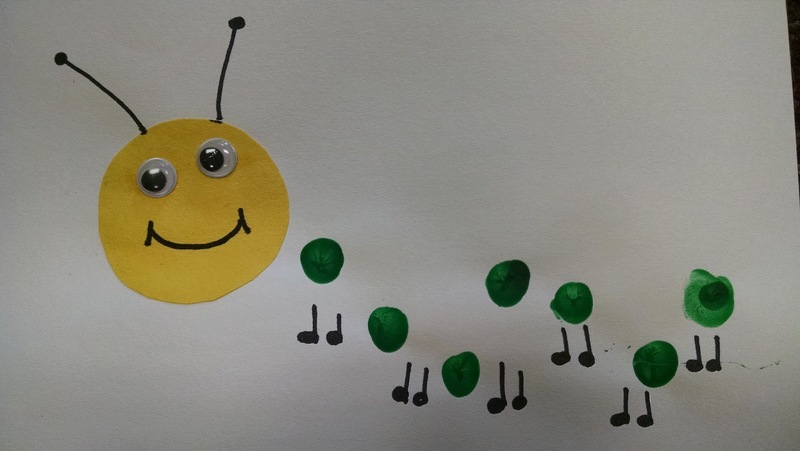 Now that we've learned all about the life cycle of a butterfly, we are so excited to get our live caterpillars in to start watching their transformation next week! 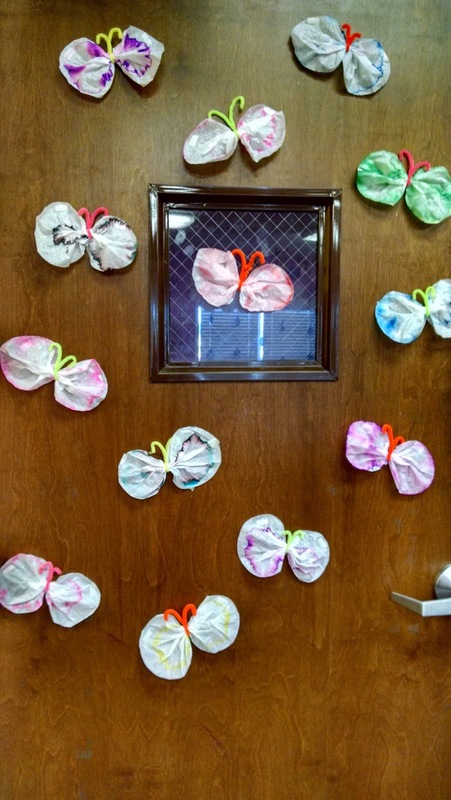 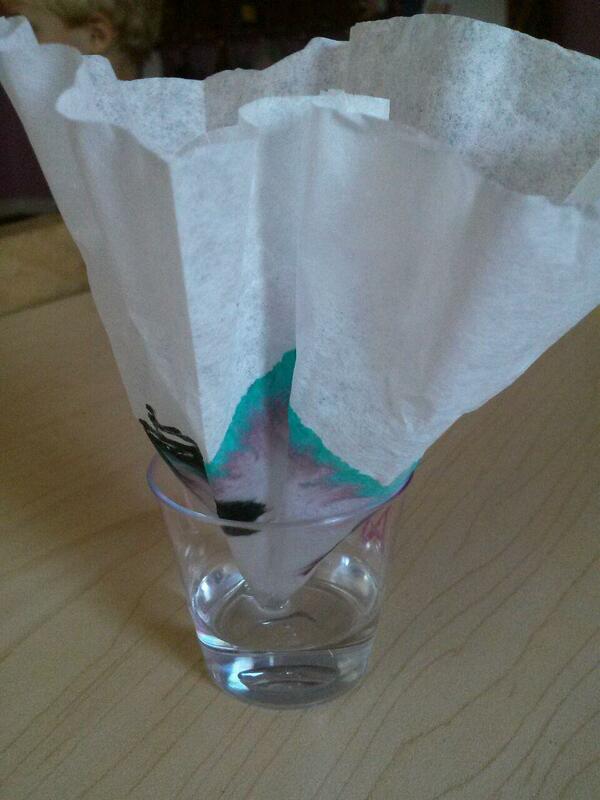 We will be sure to post pictures of our butterflies! 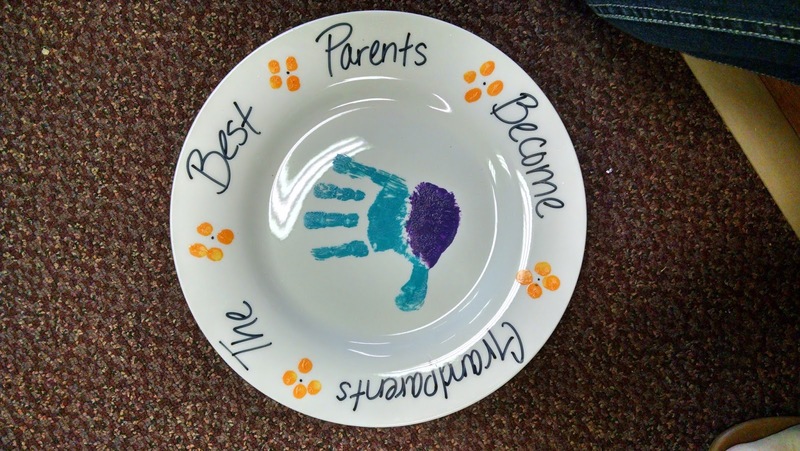 This week we are talking about our families and all the important people in them! 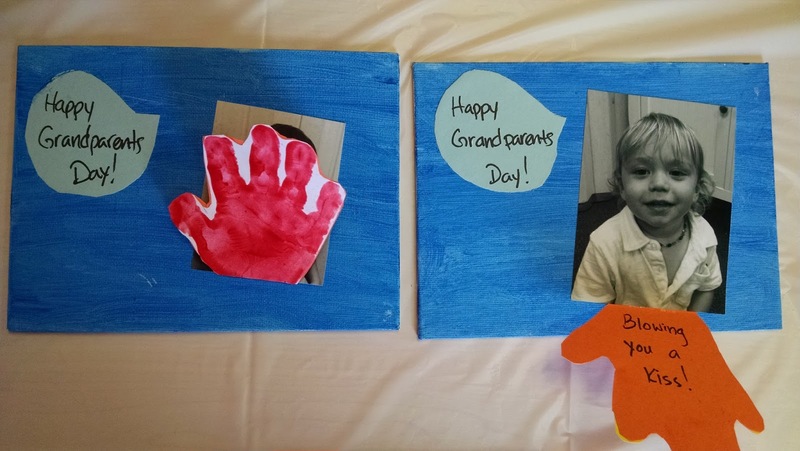 We are also really focusing on our Grandparents in honor of Grandparent's Day on Sunday! 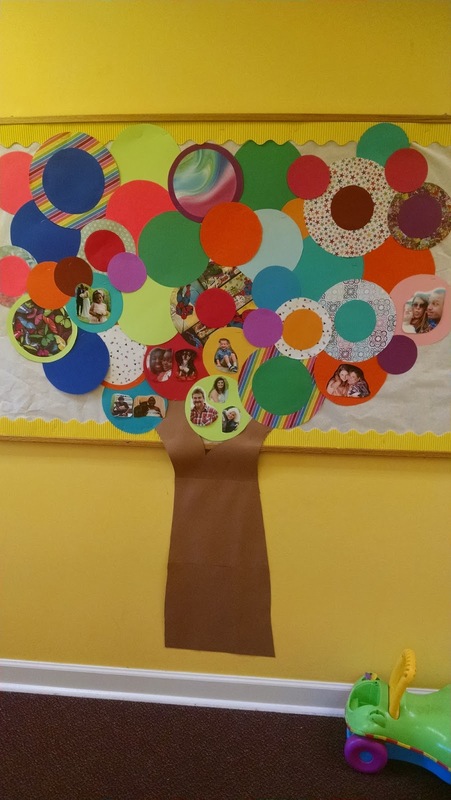 A lot of our hard work this week went towards special gifts for them but we did squeeze in a few other projects like making a class family tree and letting the children try to draw their family! 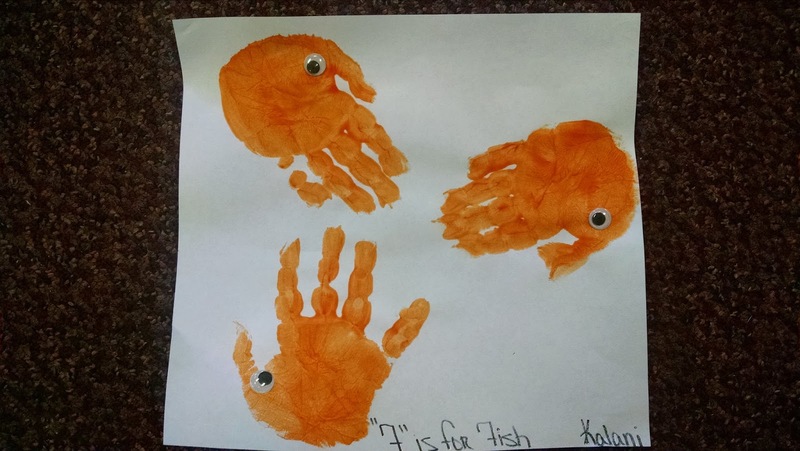 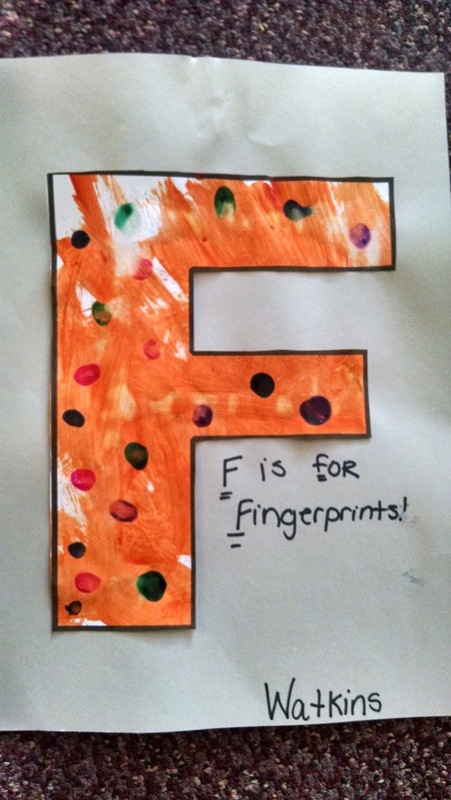 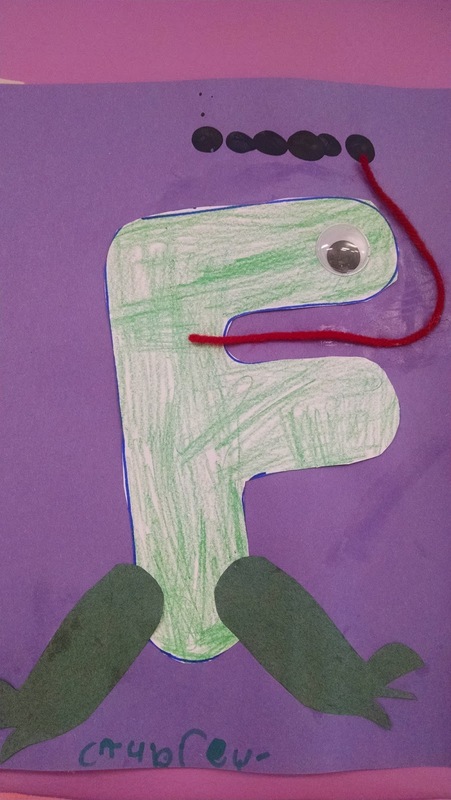 We also spent time talking about our letter of week, "F" by making fish, frogs, foxes, and fingerprints! 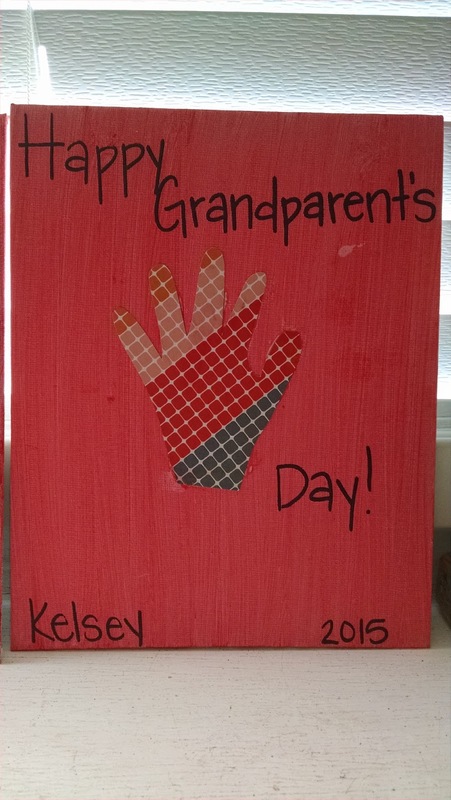 The projects for the Grandparents turned out so good! 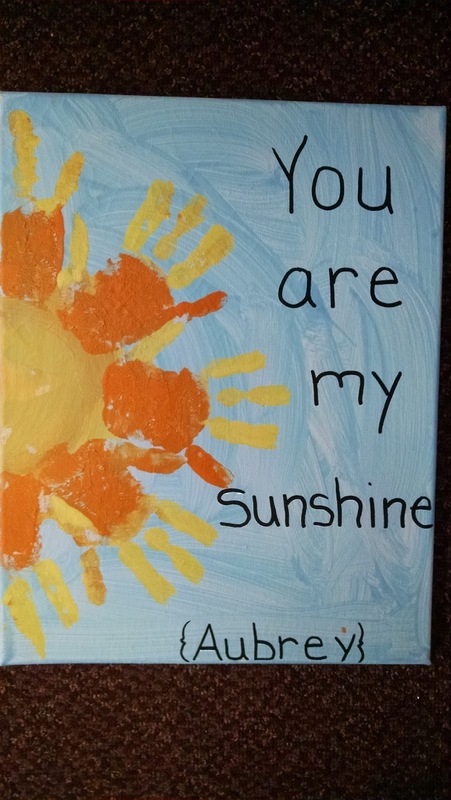 I'm sure they will be quite the prized possession! 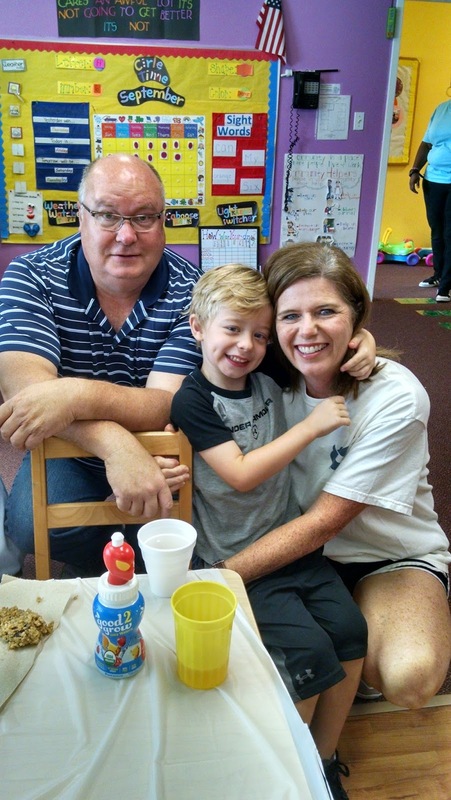 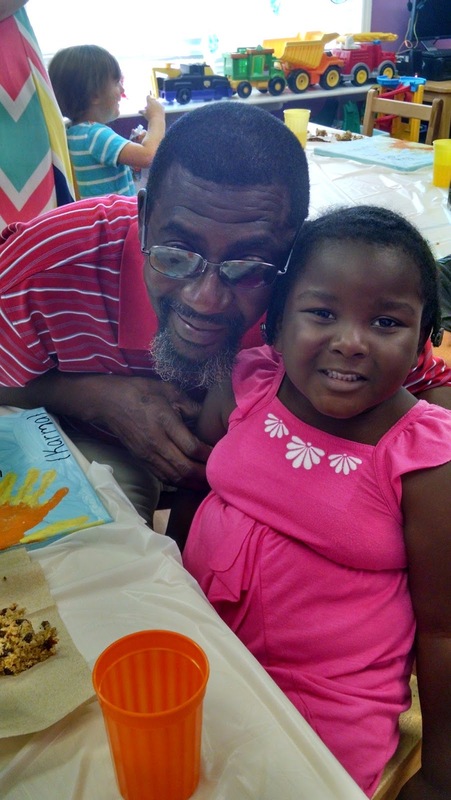 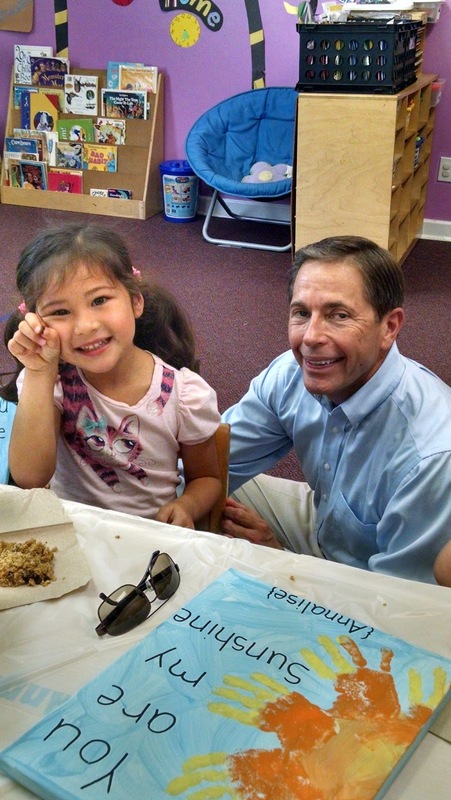 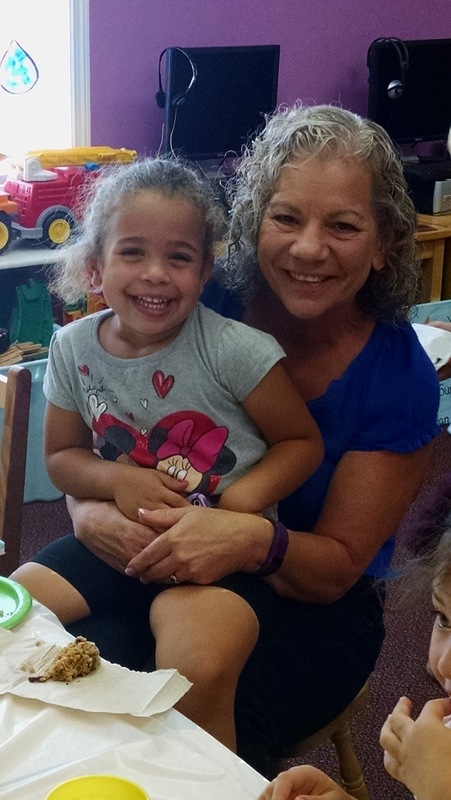 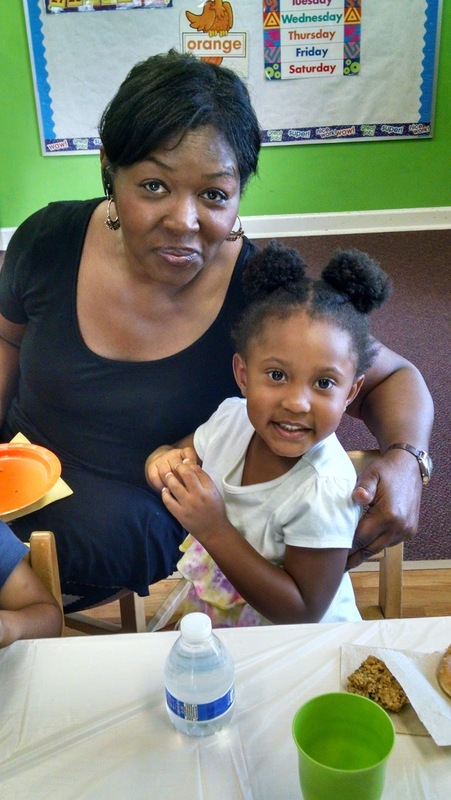 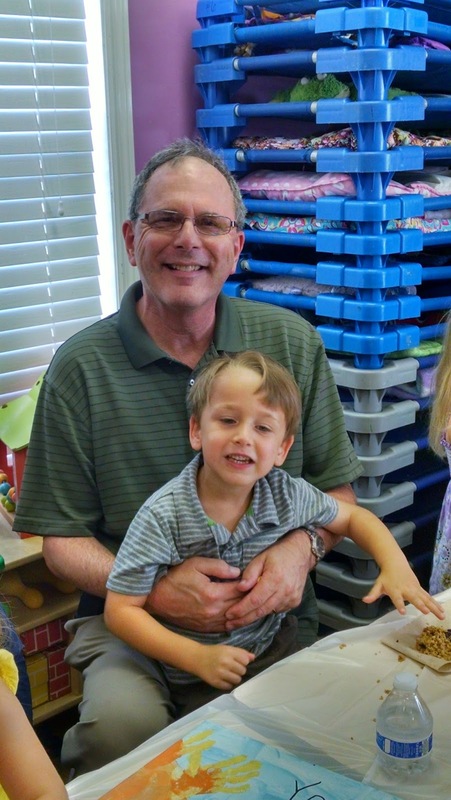 On Friday, we invited all the grandparents to come join us for "Granola Bars with Grandparents"! 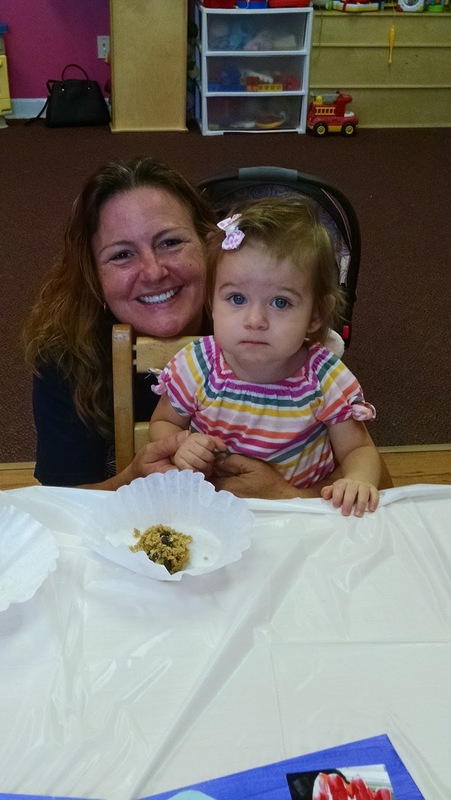 The children made the granola bars as their cooking project to share with their grandparents! 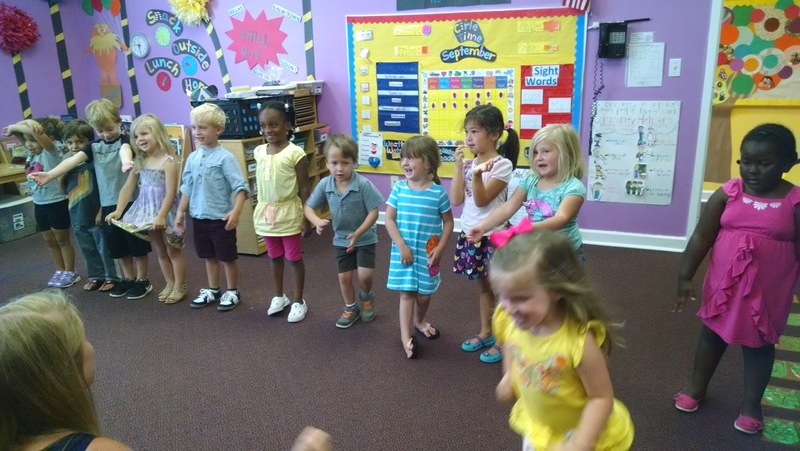 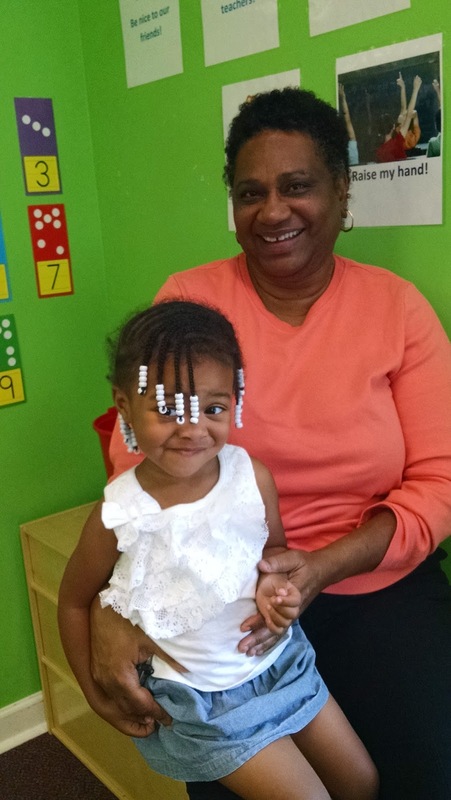 Our Pre-K class kicked off their special time with a sweet song! 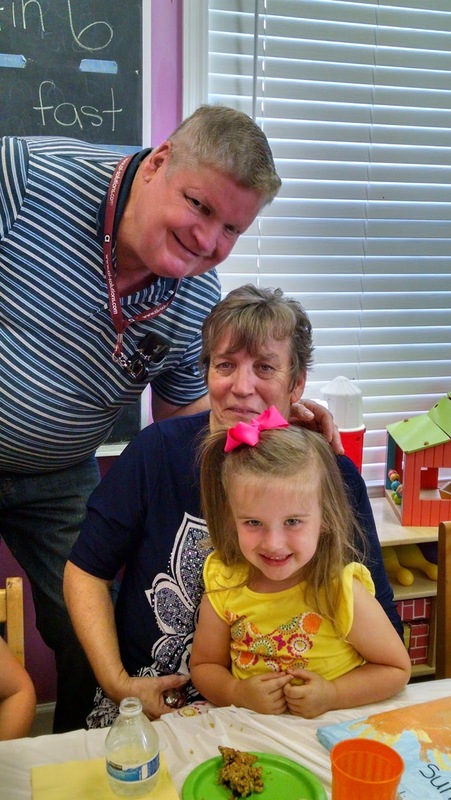 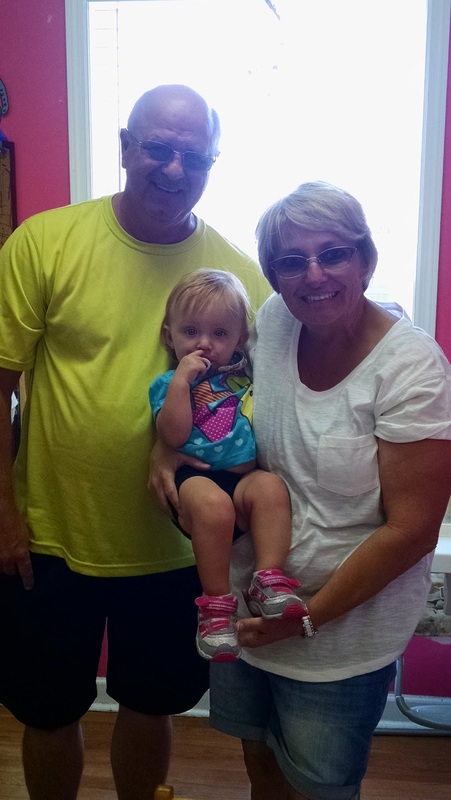 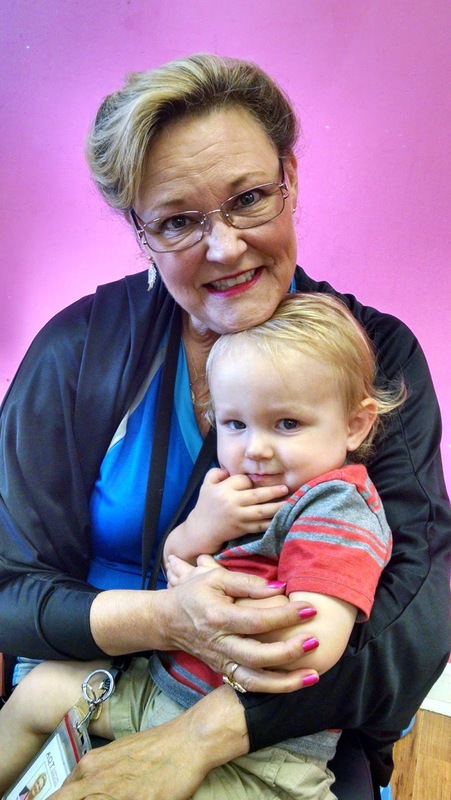 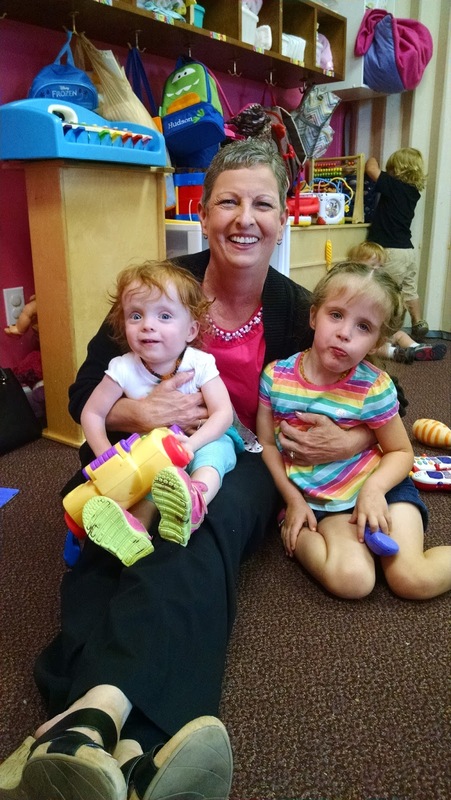 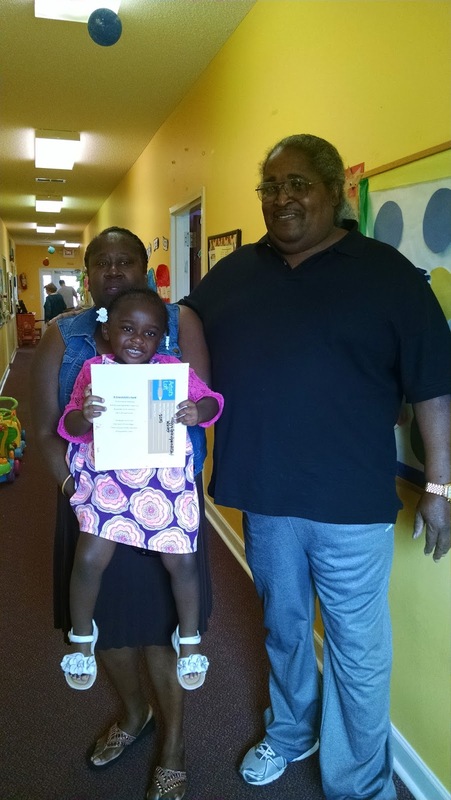 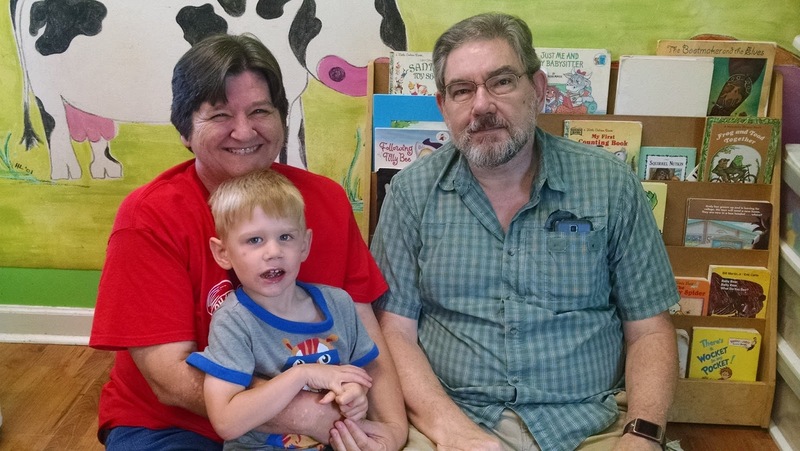 Take a look at some of our Grandparents and kiddos! 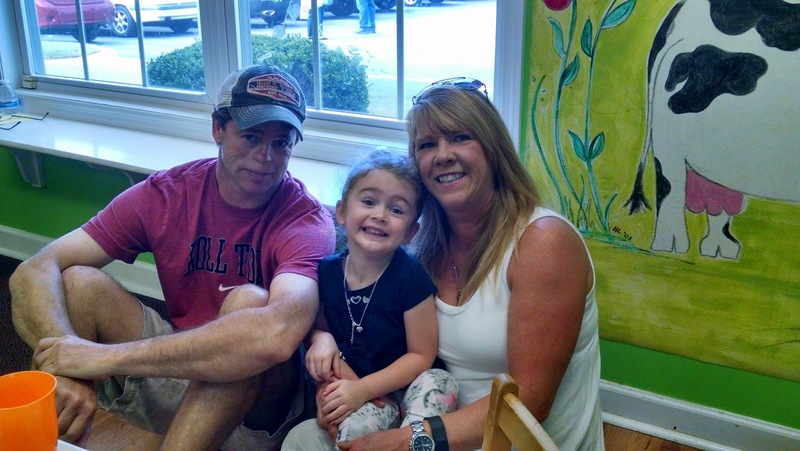 We are so thankful for all these sweet people! 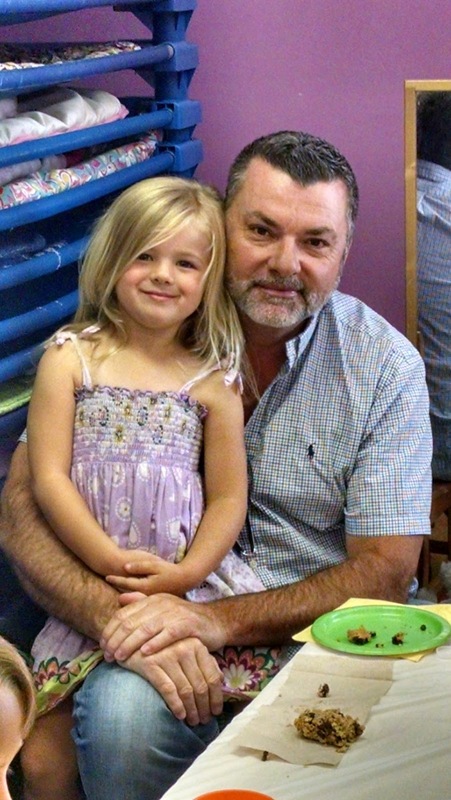 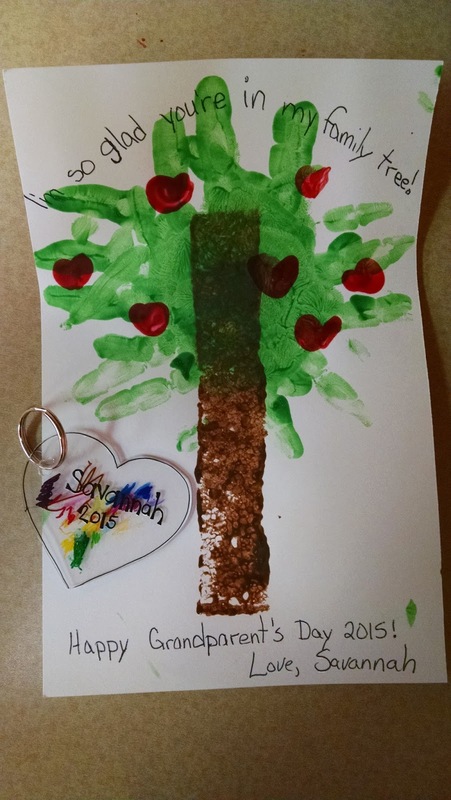 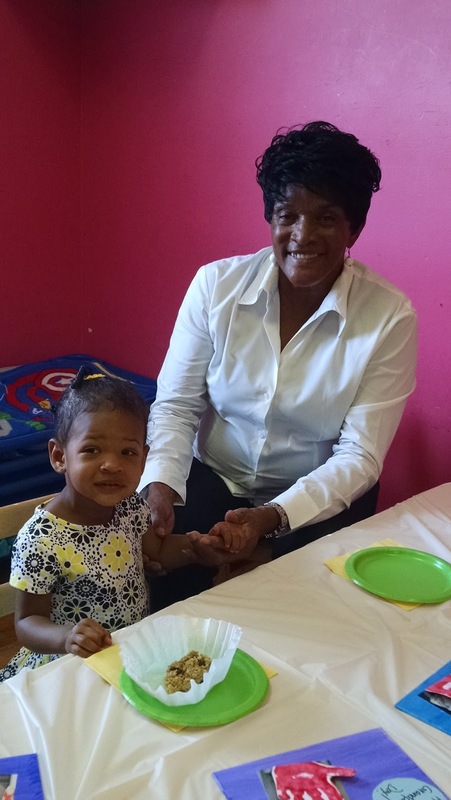 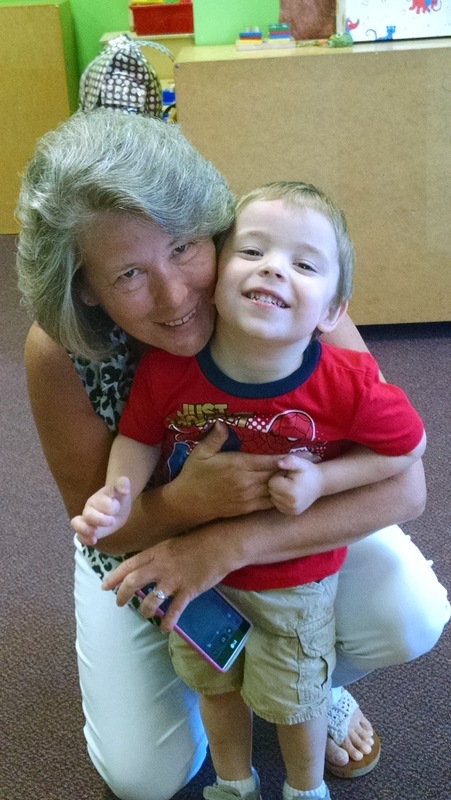 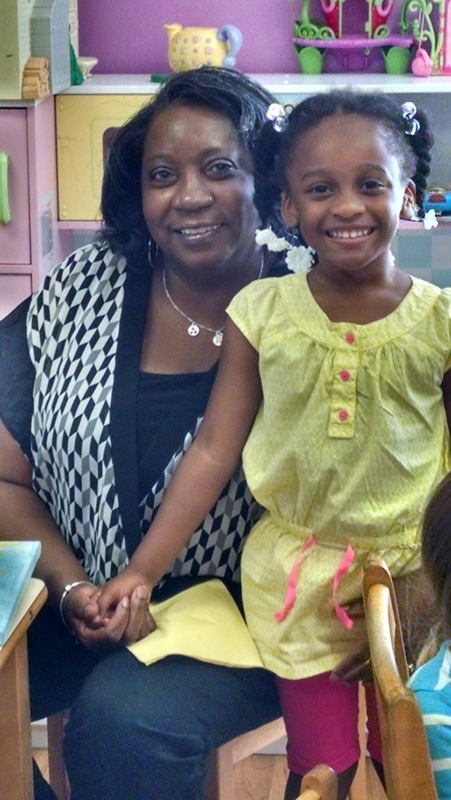 We hope all the grandparents have a very special Grandparent's Day!